GoughNuts Black Stick - Large - Perfect for Extreme Chewers, the virtually indestructible GoughNuts Black Stick Large or (Maxx) is the ultimate chew and fetch toy. Designed for the most aggressive of all chewers. Made of a thick and bouncy rubber. 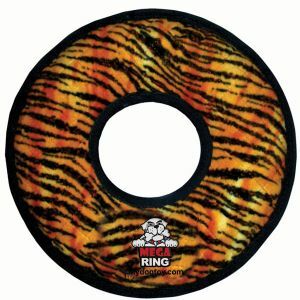 This Large Goughnut Stick features a two layer design, The patented red inner safety layer indicates when the toy has been compromised, and should be sent in for a free replacement. Made in the USA of all Natural materials. Size: 11 x 2 1/2. 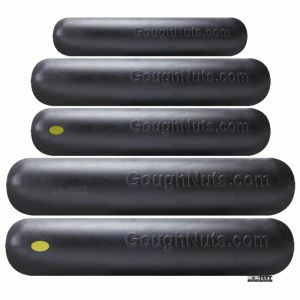 Perfect for extreme chewers the virtually indestructible GoughNuts Black Stick Large chew toy is a thick and bouncy rubber material, made with 2 two layers. 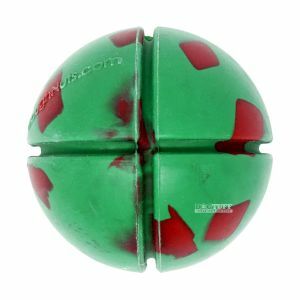 The patented red inner safety layer indicates when the toy has been compromised and should be sent in for a free replacement.